LOUD NOISES STUDIO, WALSALL, ENGLAND. Mark C and Andy S put down guide trax to a click track to give JB a fightin' chance to get the 3 trax nice 'n' in time. Track bpm being 120, 125 and 135. JB arrives at LOUD NOISES STUDIO 10:30 HRS armed with all the essentials for a long days recording, DRUM KIT, CYMBALS, FOOD (including chocolate, bananas and jaffa cakes) and lots of good COFFEE! Not forgetting 2 video cameras to record the days events. 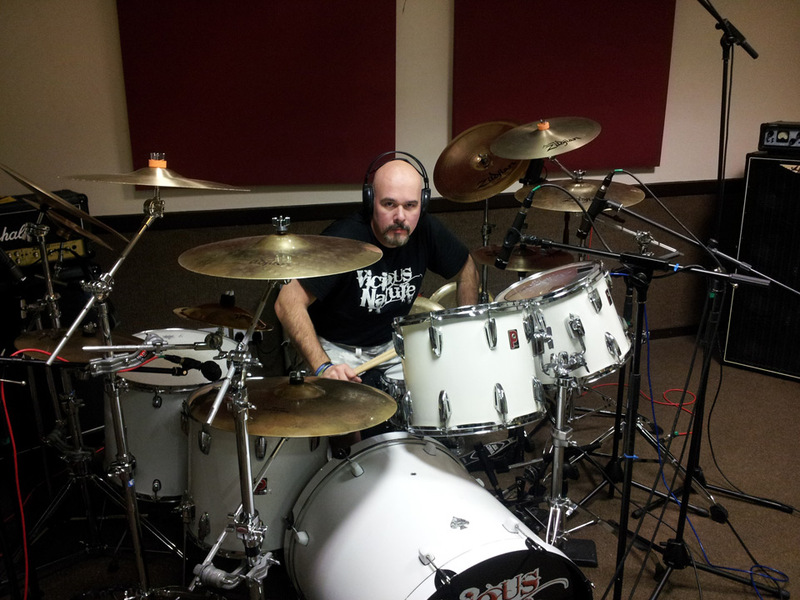 JB: "As ever, the homely feel of LOUD NOISES STUDIO does the trick. It's always good to work with someone you know and trust and in Owen Davies I feel we have found that, in all my years of playing Owen is the only one to capture what l want from my kit. Cheers dude." After couple of hours of hard slog the kit, or 'cymbal city' as Owen likes to call it, is set up and the sounds checked, now we are ready to start recording. The preference was to start with the trax JB was most comfortable with, hence BREATHLESS, then SALVATION and finally, the new one. 16:30 HRS, it was time to take individual samplesfrom each drum, hard and soft hits on each, the work being completed by 17:30. 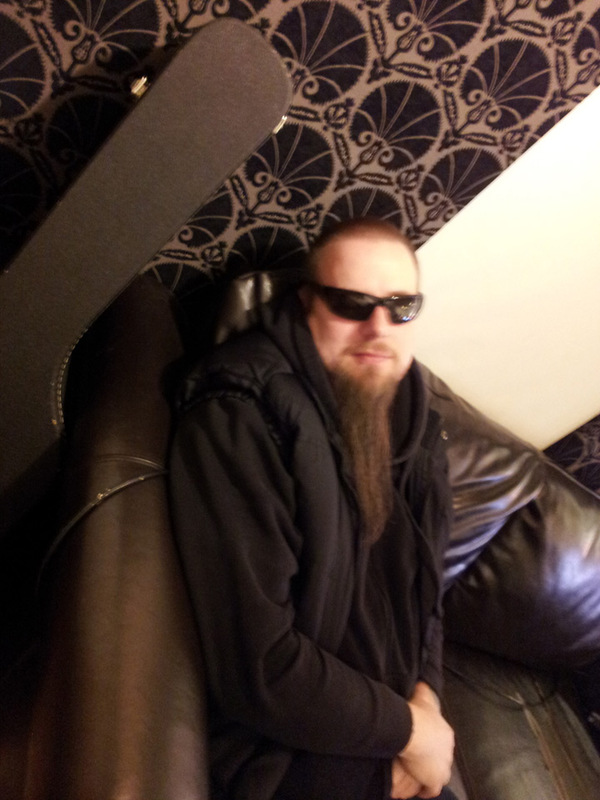 All that was left was the usual hard slog for Owen of drum edits! So J.B went home for a well deserved curry and multiple real ales to recharge the batteries for day 2, Owen was left to survive on caffeine! 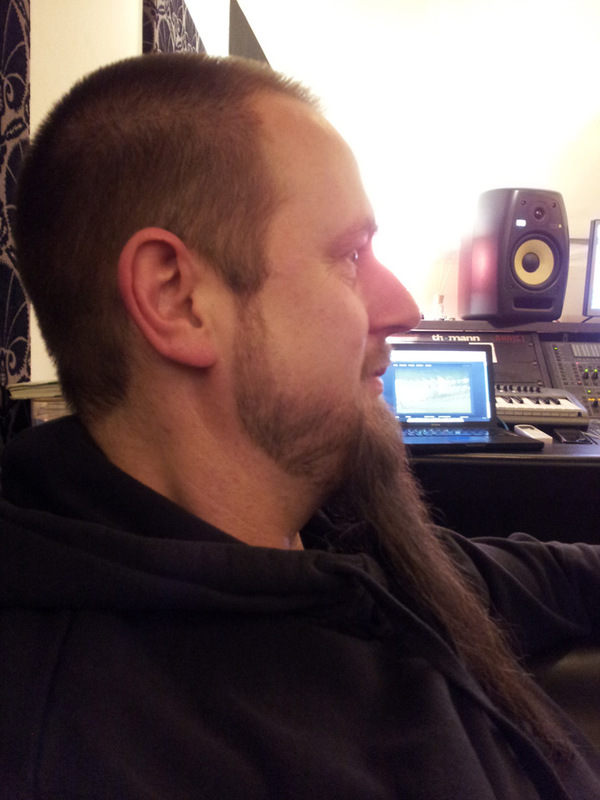 11:00 HRS, Mark C and his incredibly long beard hit LOUD NOISES STUDIO to lay down some bass. Mark choosing to D.I from his many effects, his weapons of choice being a Warwick Vampire SN, Spector Euro 5LX and Warwick Streamer Stage 1with a Hartke Bass Attack pedal, Darkglass B3K Overdrive and ISP Decimator pedal. As ever Mark was pretty much spot on with his playing not taking too much time to nail his bits, practice makes perfect as the saying goes! His work being done soon after lunch time was only hampered by a few computer issues when the 'blue screen of death' reared its ugly head and crashed all systems on more than one occasion! 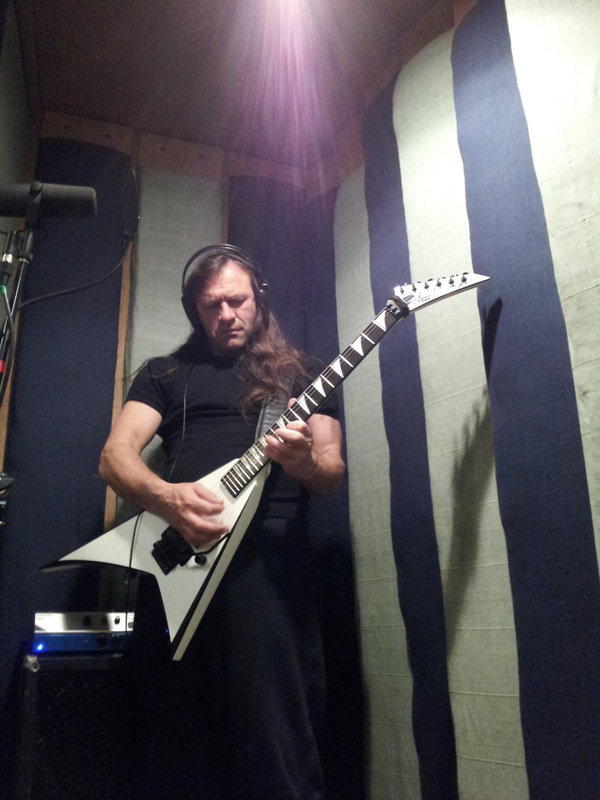 Now its time for Andy S to record the rhythm guitar tracks. Surprisingly enough he is using a Jackson, this time his trusty RR5 hardtail with EMG81 rear and EMG85 front pickups, being run through an ENGL Fireball amp with ENGL 4x12 cabs both mic'd and DI'd, no external effects... An awesome rhythm sound. Once again the odd computer issue slows things down a bit. 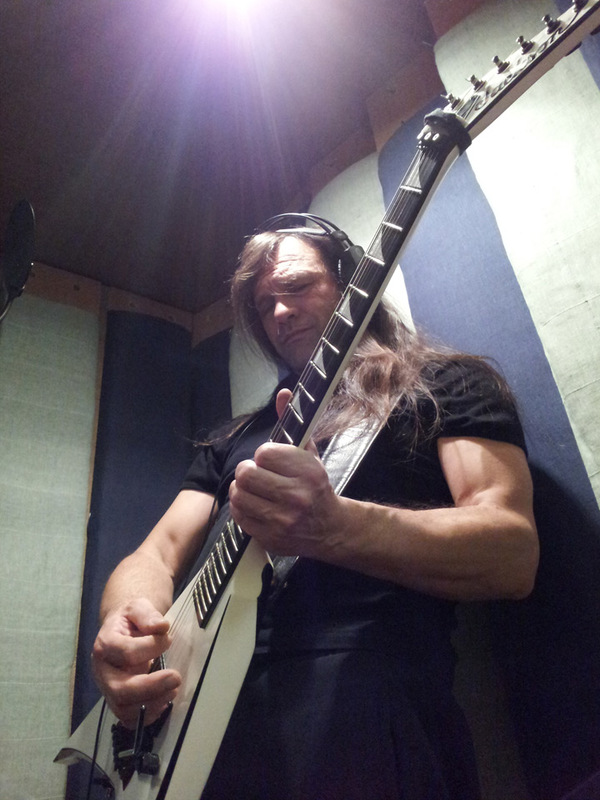 10:00 HRS sees Andy S back in the studio to finish rhythms and start solos and twin/harmony guitars, this time using his JACKSON RR24 with the same ENGL Fireball amp but this time using extetnal delay. 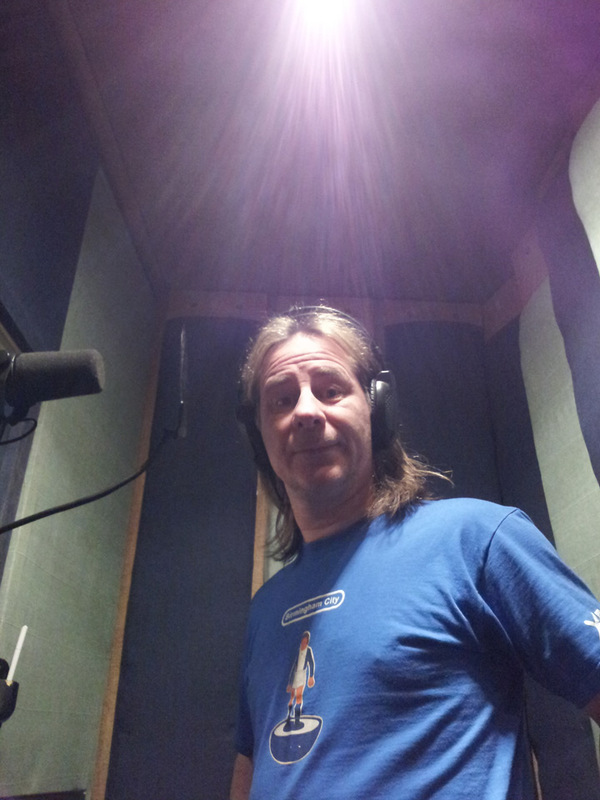 14:30 HRS sees Pyke in the studio for the commencement of vocals, after settling in with a brew of course! 2 tracks completed by the end of play, leaving us all a week to recharge our batteries. 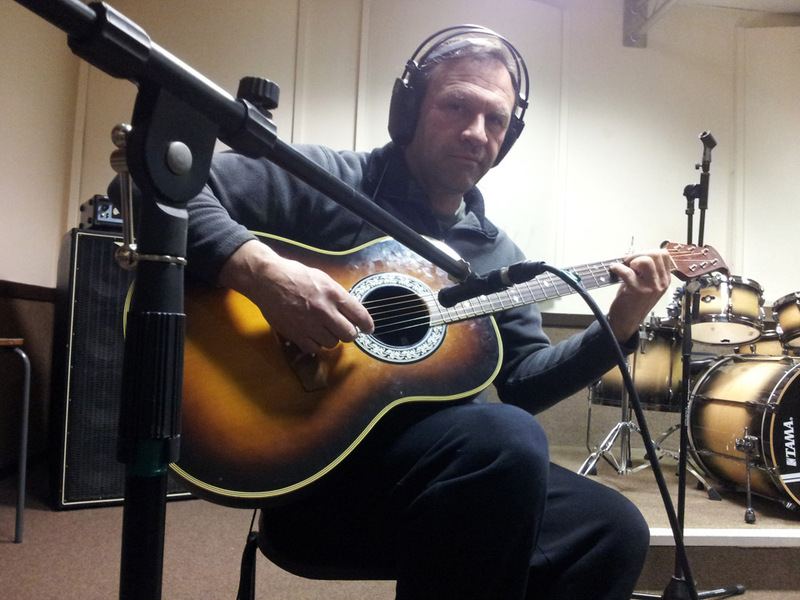 10:00 HRS, Andy S completing solos, twin/harmony guitars and acoustic bits. 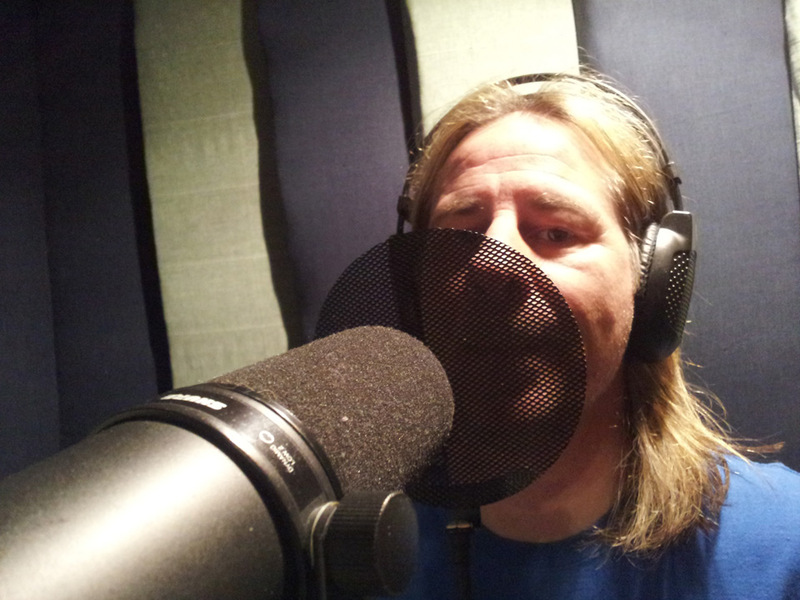 Things go swimmingly and then we are ready for Pyke to start vocals on the newest of the tracks, PREY (which will soon be re-christened). A few deathly backing vocals by JB underneath Pyke's link section on PREY and some other backing vocals on SALVATION and the tracks were all but complete. 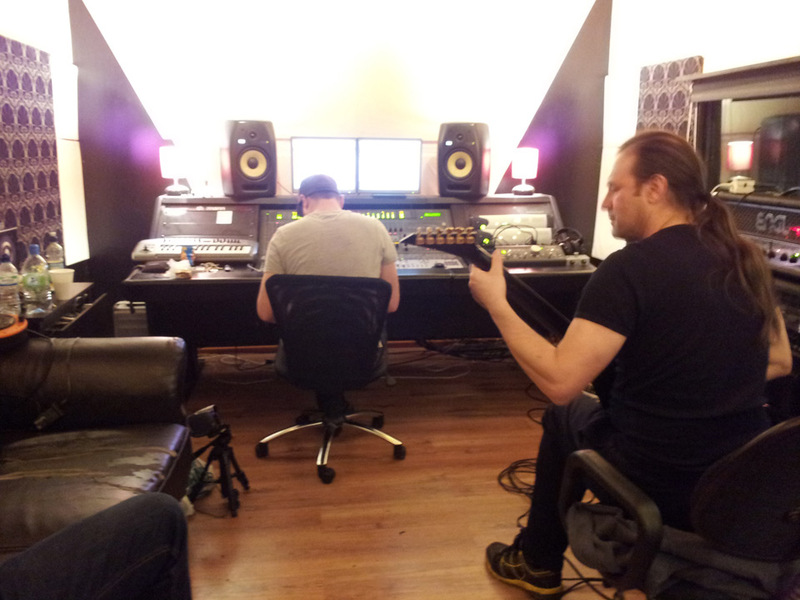 The guys came away with rough mixes by the end of the day. 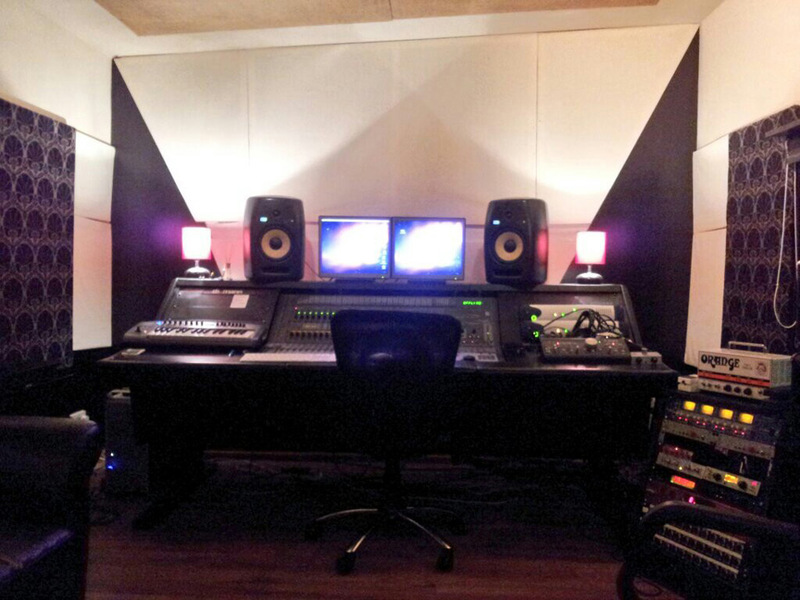 18:00 HRS sees the guys back at the studio to review Owen's first mix, the tracks sound there or there abouts. A few bits of movement in levels required and the first mixes run off on to CD for the guys to live with for a while, try out on various sound systems and get a general feel for what is required from the final mixes.